Durable Educational Edge school desks are stronger than ever. 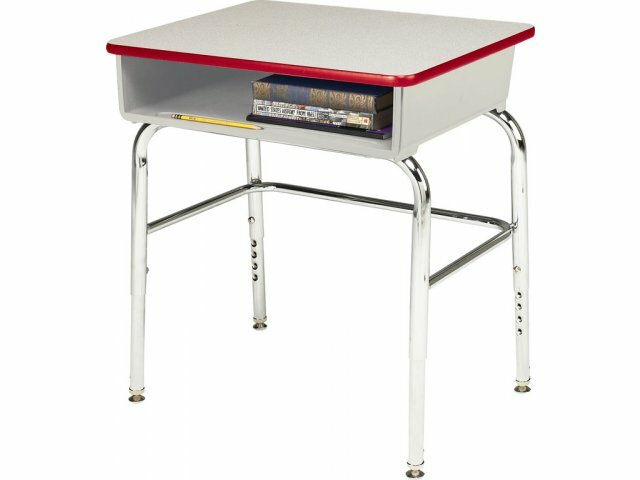 These tough student desks feature 18-gauge U-braces, double-welded to each desk leg for added support and reinforcement. 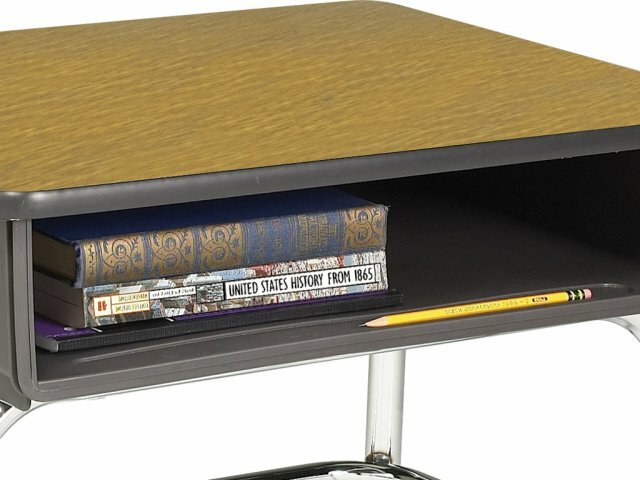 These school desks feature a poly bookbox made from heavy-duty polypropylene. The bookbox is as strong and long-lasting as steel, yet it is quieter and lighter. It won't rust and has no sharp edges. The desks's frame is 16-gauge, 1 1/4" diameter steel frame with under-desk stability bar for superb strength. Colored T-mold edging on these student desks adds vibrancy to your classroom. The desks are height adjustable to conveniently suit your individual students' needs. 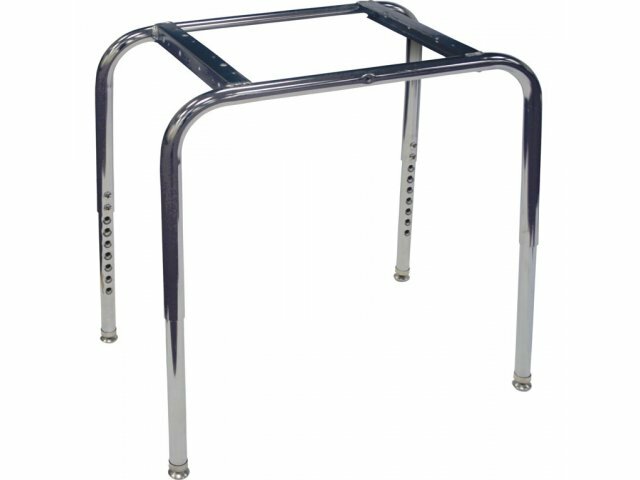 Extra-Tough: 18-gauge U-brace provides added reinforcement to unitized desk frames. Spacious Desktop: These student desks have plenty of room for notebooks, pencils and any other classroom materials. Attractive Accents: Colored T-mold edge banding can be coordinated to any classroom. 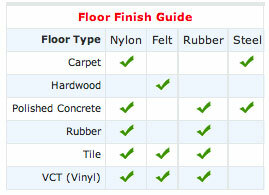 Lightweight: Heavy-duty polypropylene book-boxes are as durable as steel, but are quieter, lighter and rust-free. Convenient Storage: Students can keep anything they might need in the easy-to-access book-box. Front lip prevents materials from falling out of desks. 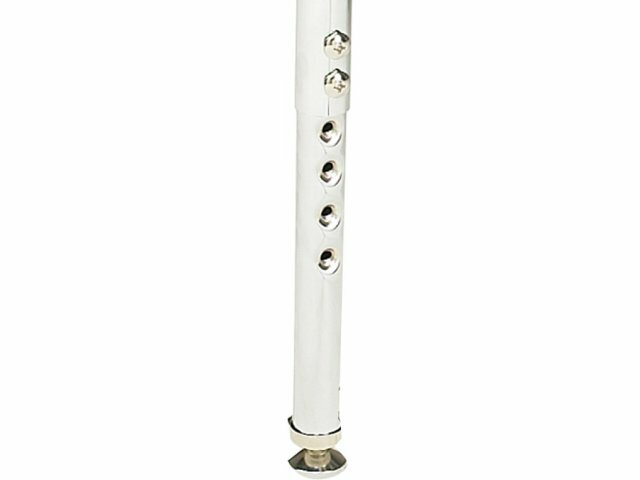 Sturdy Frame: Welded-steel tubing and braces hold the unitized 16-gauge steel frame together. 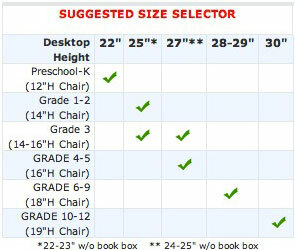 Adaptable: Desks are height adjustable (from 22"-30") in 1" increments to accommodate students of any size. 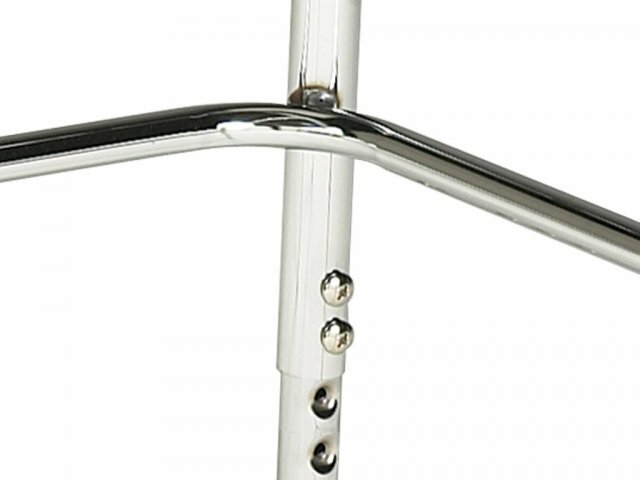 Secure: Two screws on each adjustable leg secure adjustment. Stable: Self-adjusting glides keep desks level.